OncoSenX is a late stage pre-clinical cancer company headquartered in Seattle, Washington. OncoSenX targets solid tumors based on transcriptional activity using a unique lipid nanoparticle and plasmid DNA. Our system is comprised of two main components: An untargeted non-toxic lipid nanoparticle and a highly targeted DNA payload. DNA plasmids encode an inducible death protein under a promoter that is active in the target cell population. We are initially targeting cells that are transcriptionally active for p53. Cells are killed via apoptosis with caspase 9. We can use our DNA payload to effectively implement logic gates (IF/OR/AND). This allows us to precisely target cell populations based on their genetic activity without harming adjacent cells. These LNPs have been shown to be non-immunogenic, even with adjuvant, and are non-toxic at doses up to 10x expected human therapeutic dose in rodents and non-human primates. Non-Human Primate Studies were Initiated late August, 2017 by RxGen and concluded mid-September. Analysis is still underway but no visible toxicity is seen in animals receiving full treatment course at ten times the normal human dose. Oisín Biotechnologies' ground-breaking research and technology is demonstrating that the solution to mitigating the effects of age-related diseases is to address the damage created by the aging process itself. Entos Pharmaceuticals is a healthcare biotechnology company that develops precision breakthrough therapies through strategic development partnerships. The Methuselah Fund is designed to accelerate results in the longevity field, extending the healthy human lifespan. Their success is measured by financial return on investments and furthering the mission, with the mission being the priority. Their network of mission-oriented individuals contains many angels, super-angels and professional investors. The Methuselah Foundation is a forward thinking medical public non-profit Foundation that looks for, examines, carefully tests, and implements high-leverage interventions that spur concrete progress in the short term and causes synergistic ripple effects over time in the longevity and health-span field. 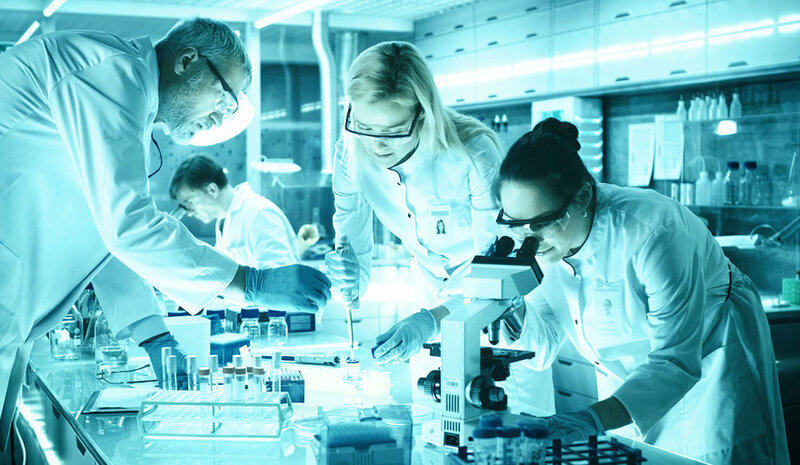 The SENS Research Foundation conducts research that emphasizes the application of regenerative medicine to age-related disease, with the intent of repairing underlying damage to the body's tissues, cells, and molecules. Its goal is to help build the industry that will cure the diseases of aging. The Lewis lab at the University of Alberta utilizes real-time intravital imaging of the tumour microenvironment to learn about the critical steps of cancer progression, including the growth of new blood vessels and the gain of tumor cell motility that leads to metastasis. It is investigating novel nanoparticles that are being developed for the early detection of prostate cancer, drug delivery, and the in vivo study of tumor cell invasion and metastasis. Matt is a co-founder of OncoSenX and serves as CEO and Chairman. A serial entrepreneur with a background in computer security and immunology, Matt is also the founder and CEO of Oisín Biotechnoligies and former CEO of Immusoft, a biotech firm developing a breakthrough technology that will turn a patient's B cells into miniature drug factories. He’s a graduate of the University of Washington and a frequent speaker at the UW School of Business, while also serving as a mentor for the Thiel Fellowship program. Dr. John Lewis the co-founder of OncoSenX and heads its cancer-fighting platform technology development and clinical research. Dr. Lewis also holds the Frank and Carla Sojonky Chair in Prostate Cancer Research at the University of Alberta. He is an Associate Professor in the Department of Oncology and chairs the Alberta Prostate Cancer Research Initiative. Dr. Lewis has also founded three Canadian biotechnology companies. Gary Hudson is co-founder and Board Member of Oisin Biotechnologies. Mr. Hudson is also active in several non-profits focusing on age-related disease. Mr. Hudson has won several awards during his career including Laurel Award from Aviation Week and Space Technology, the Founder’s Award from the Space Frontier Foundation and was inducted into the International Space Hall of Fame in 2014 for his contributions to the field. Eric Garcia is the Chief Operating Officer and Treasurer of OncoSenX. He has responsibility for the company’s finances and business operations. Mr. Garcia also helped start Oisin Biotechnologies, serving as its COO. Prior to Oisin Biotechnologies Mr. Garcia was the Chief Financial Officer for the immunotherapy biotech, Immusoft Corporation. Outside biotechnology, Mr. Garcia has worked in banking, financial management and public policy. OncoSenX's web site is provided as a service only. The site is not intended to provide specific investment advice and investors and potential investors are advised to seek professional advice. The site's contents may not always be the most current source for OncoSenX information, although updates will be made frequently. The site is also not intended to provide any specific tax advice, nor to provide anyone with specific medical, pharmaceutical or therapeutic advice. A visitor seeking information or advice for the treatment of a medical condition should review any information on the site with his or her individual physician or medical practitioner. This site may contain forward-looking statements. Although OncoSenX believes that the forward-looking statements contained herein are reasonable, it can give no assurance that OncoSenX expectations are correct. All forward-looking statements are expressly qualified in their entirety by this Cautionary Statement. This document should not be considered the official disclosure document of OncoSenX. Although OncoSenX has taken reasonable precautions to prevent unauthorized entry and alterations of its web site, no system is fool proof. Therefore, OncoSenX assumes no responsibility with respect to any computer viruses, destructive programs or unauthorized content that may be inadvertently downloaded from, or purposely inserted into, the web site.